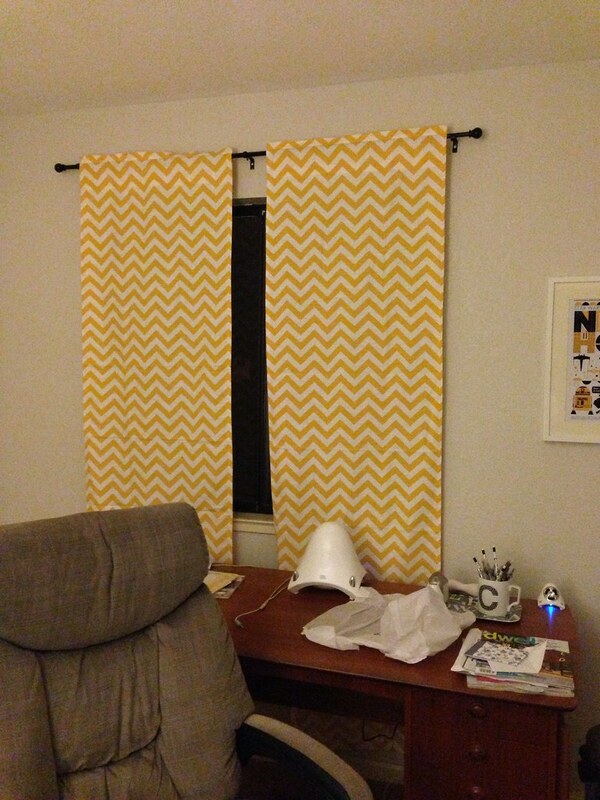 My lovely new curtains from Etsy showed up yesterday! All that’s left with my office is getting my Star Wars cabinet back up, cleaning out the closet, and a new desk chair. 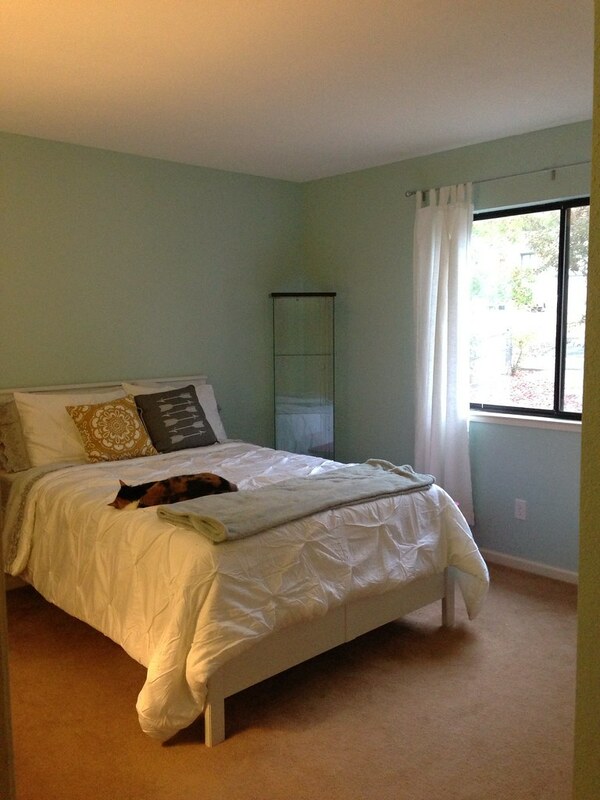 Here’s a sneak peak of the guest room. In other news, the living room is now 100% painted, so now we can finish adding artwork to the walls. Things are getting there!